Are you interested in driving home the new 2019 Ram 1500? 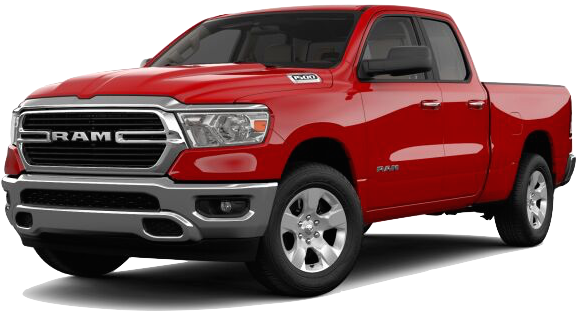 Before you make a decision, check out our current Ram 1500 lease specials. On top of the many benefits that come with leasing, you’ll also get the new Ram 1500 at a rate that works with your budget. Make sure you check out our Ram 1500 trim research page to ensure you find the right trim package for your lifestyle. For more information, contact Royal Gate Chrysler Dodge Jeep Ram of Columbia, IL by calling (866) 855-5151. Why Lease a 2019 Ram 1500? When it comes to the 2019 Ram 1500, the benefits are seemingly endless. On top of receiving a great deal on the Ram 1500, you’ll also receive a host of impressive features. Best-in-class V8 engine towing of 12,750 lbs. This lease rate is for estimation purposes only. You may not be able to lease your vehicle at this rate. A security deposit may be required. See dealer for details. Residency restrictions apply. See dealer for details. Must take retail delivery by 01/31/2019. When financed through Chrysler Capital. Not all buyers will qualify. Residency restrictions apply. See dealer for details. Must take retail delivery by 01/31/2019.